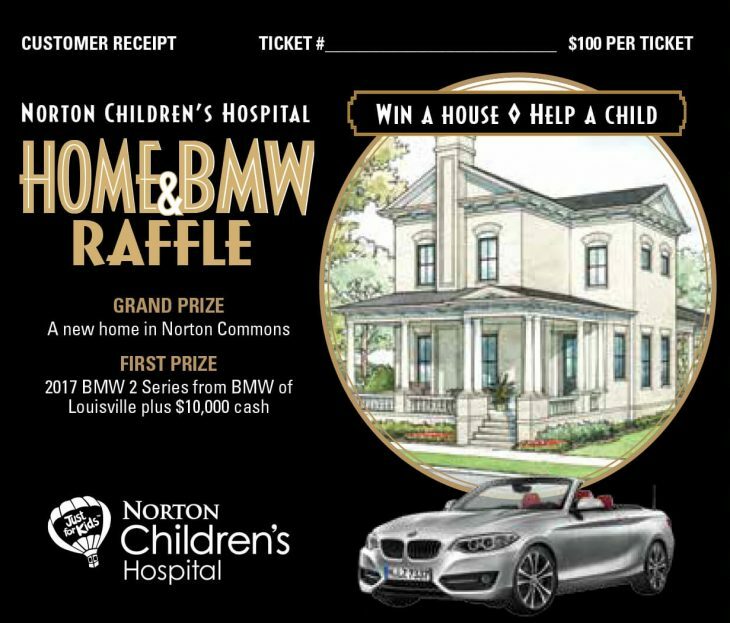 Today I am excited to share with you a home that will greatly benefit the Norton Children’s Hospital in Louisville, KY. It was built by Ramage Builders, who has participated for several years by building previous houses for their benefit. 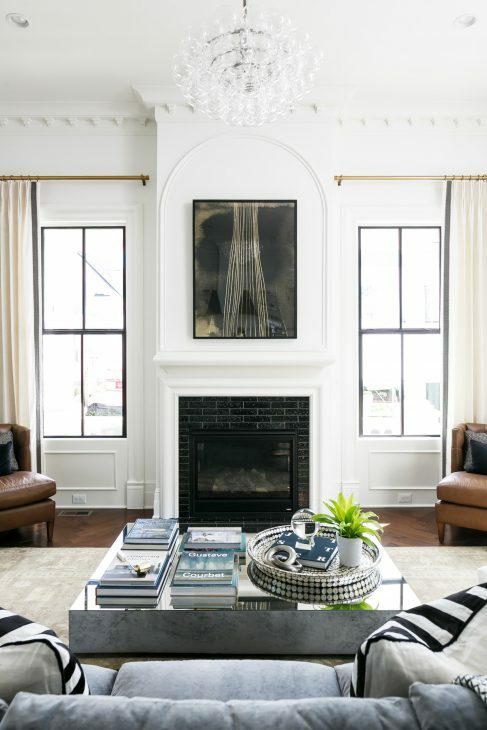 It is a gorgeous home, with interiors by Leslie Cotter Interiors. The home is 2400 sq.ft., 2 stories, 3 bedrooms and 2 1/2 baths. It has geothermal heating and cooling, and is located in Prospect, Kentucky. I will give you info for purchasing a chance to own this home at the end of the photos. I came across another home for the builder and when I followed a link came across this home. I have been a contributor to St. Jude’s for years and years and hold a special place in my heart for children’s hospitals. So I thought I would publish this one in hope’s that it might help a tiny bit to assisting Norton Children’s in reaching their goal. Old world meets modern. 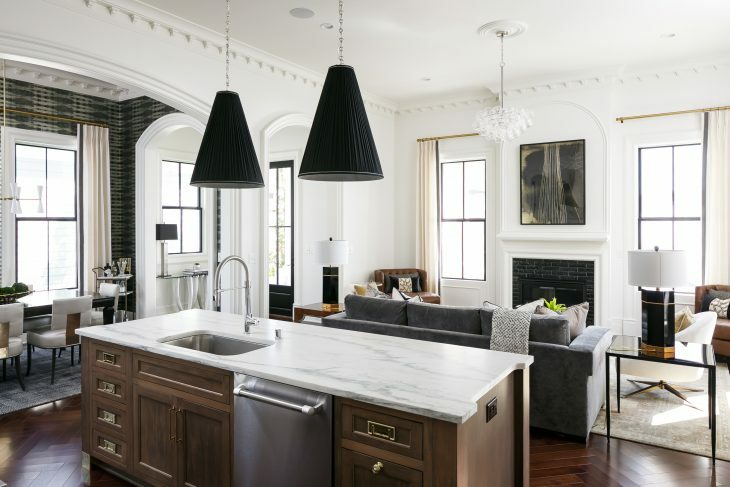 This Italianate architecture has clean lines that still recall the heritage of Italianate architecture. 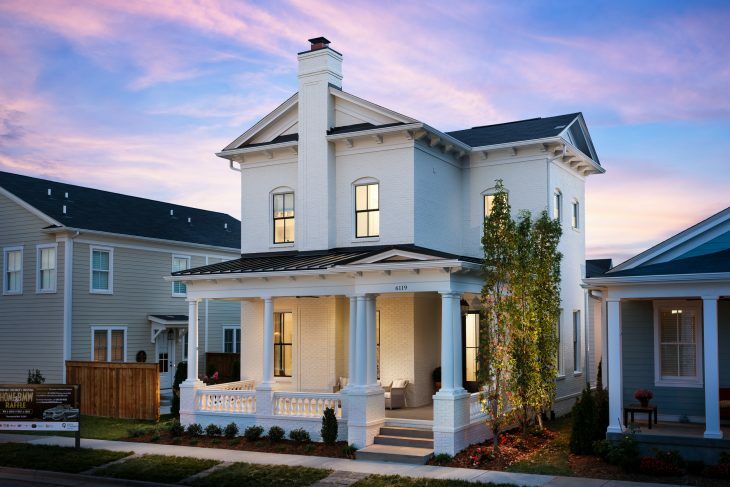 The brick body of the house is painted in a warm white, while the trim is a brighter tone. The windows are all trimmed in black paint as is the metal roof and front door. Tall with clean lines. Classic! Inside the entrance we see the lovely trim finishes. The dining room is straight ahead, and to the immediate left is the living room. I like the designer’s choice for lighting in this room. 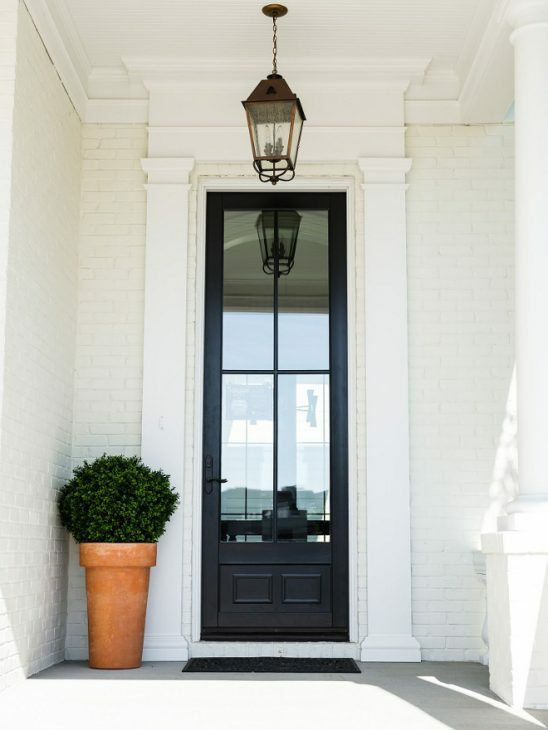 It is whimsical, and does not compete at all with the deep trim details around the doors, floor and the ceilings. I am seeing wallpaper every where in design magazines, and that is good news. 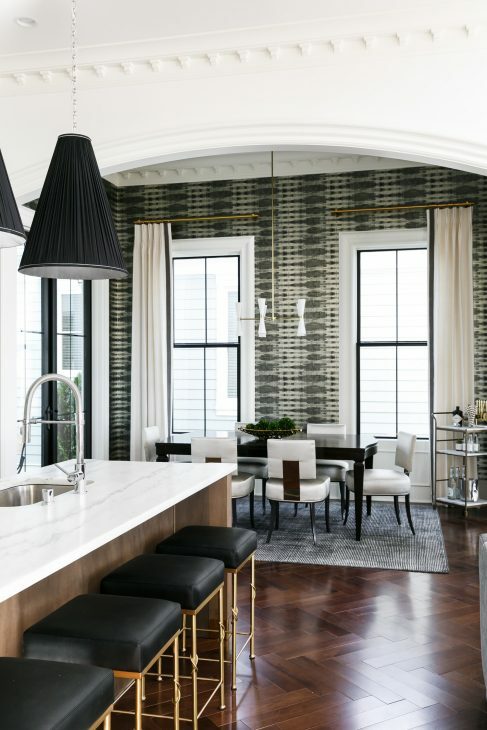 The new wallpapers, like the one here, are more modern interpretations and can really add so much to rooms. 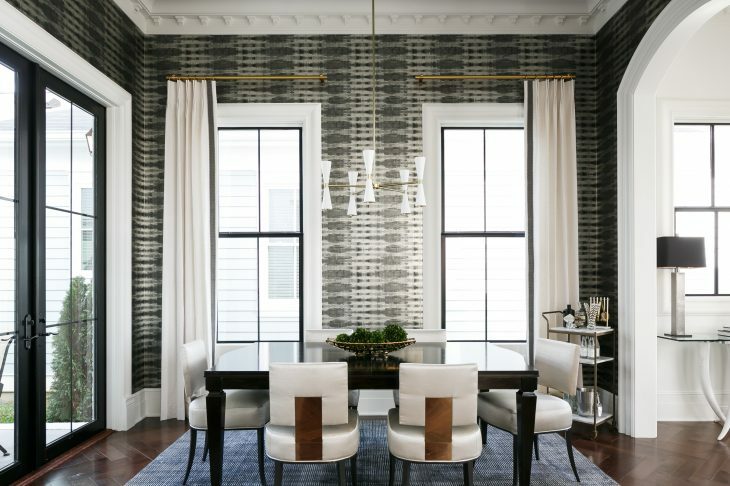 The ceilings on the first floor of this house are 10 feet, and this wallpaper keeps it from feeling out of scale to the dimensions of the space, which is not overly large. Notice the curtains – only one panel on each window. 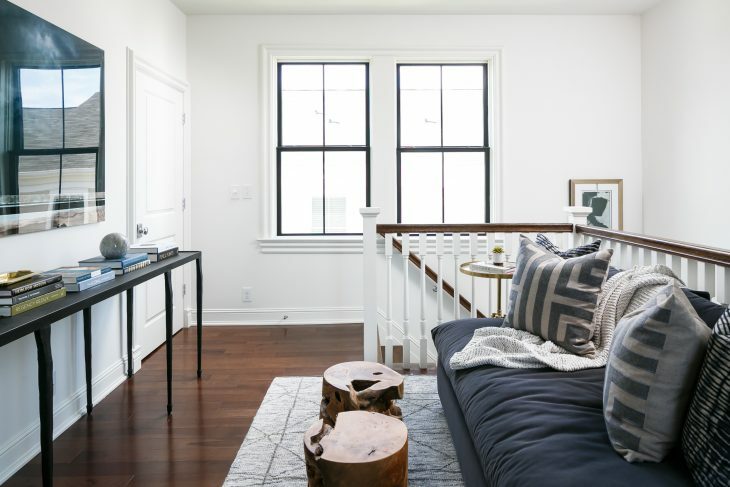 It emphasizes the wide window trim molding. A view into the living space from the foyer, and again the smart decision to use single curtain panels. By using a black edge detail on the curtain, it mimics the black lines of the windows. These are the kinds of details that make a design go from nice to exquisite. I bet that this room is really lovely at night when the chandelier and ceiling lights are on, hopefully on a dimmer. Good photo that allows you to see how the three rooms and foyer relate. It is an open concept with good decisions about where to put some wall structure. Notice the arched and cased openings. I am also happy to see some darker woods come back into kitchens. 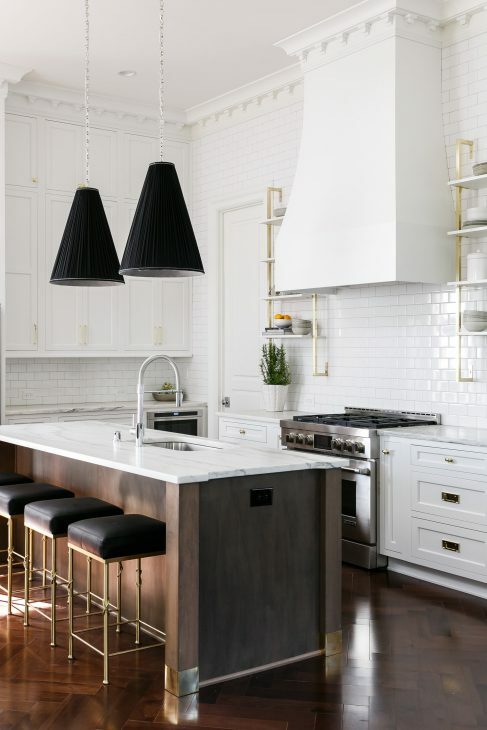 Here the kitchen is mostly white, but the addition of the stained wood island keeps it from looking too stark. 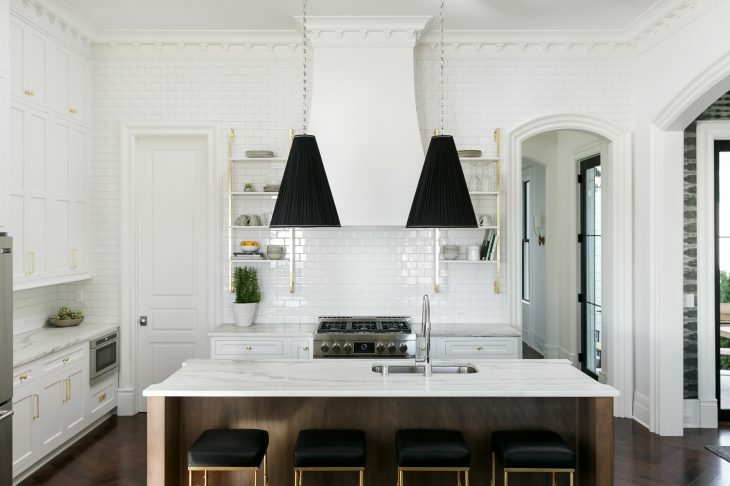 The brass shelving units echo the brass curtain rods in the living room, and black accents throughout the house. 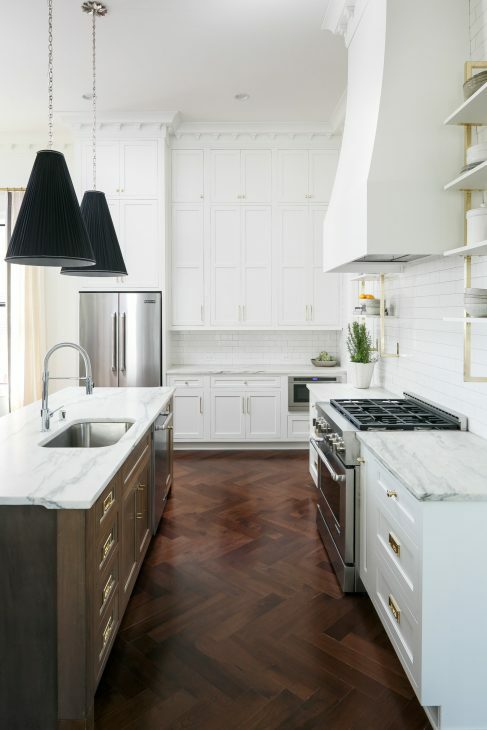 These herringbone floors are to die for. Again, they add warmth, a bit of subtle pattern, and a richness for sure. With cabinetry all the way up to the ceiling, there is a huge amount of storage in this kitchen. The black light shades and seating at the island relate to the wallpaper. Again, a touch of brass in the base of the bar seating. Another view, with a long hallway on the right leading to the master bedroom suite and laundry. 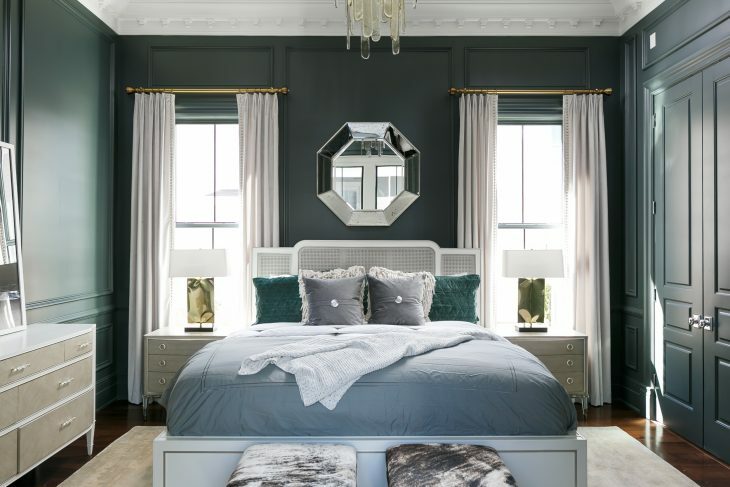 I really like darker colors in the master bedroom, as long as there is good light during daytime. These two tall windows flood the room with daylight, but at night the rich color of these walls will envelope you. Although not a large bedroom, it is perfection with the details, both architecturally and with the choice of furniture and textiles. By keeping the doors, when closed, the same color as the walls, it does not break up the continuity and therefore the room reads as larger than it is. 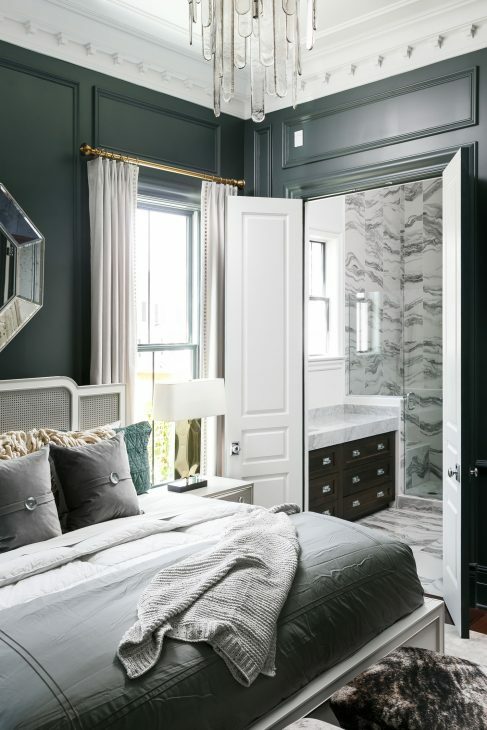 When opened, the doors are white, in keeping with the colors chosen for the master bath. I bet the chandelier over the bed is lovely at night. 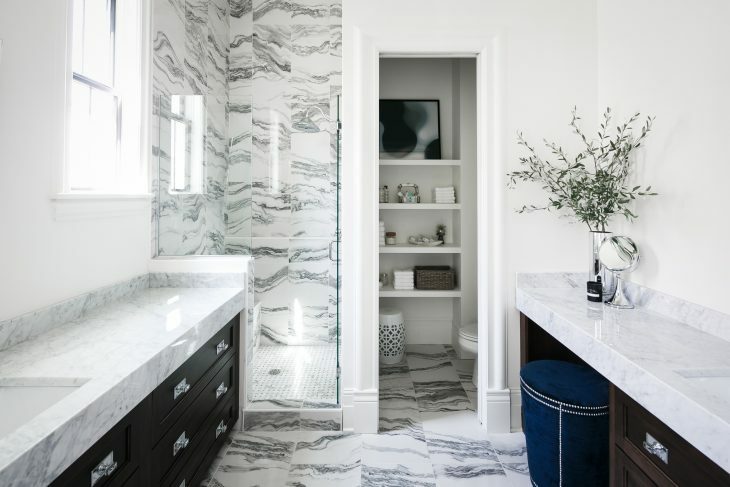 Every choice made for this bath helps to keep it bright and feeling spacious. That includes the glass shower doors, that prevent the eye from stopping, and therefore mistakingly perceiving that the bath is smaller. The choice of a thicker counter lends a feeling of luxury. This can be achieved by using a regular thickness counter material, and edging it with a wider piece. With the seaming techniques they have now, seams are pretty much invisible. Heading up to the second floor where there are two more bedrooms and a bonus space between them. 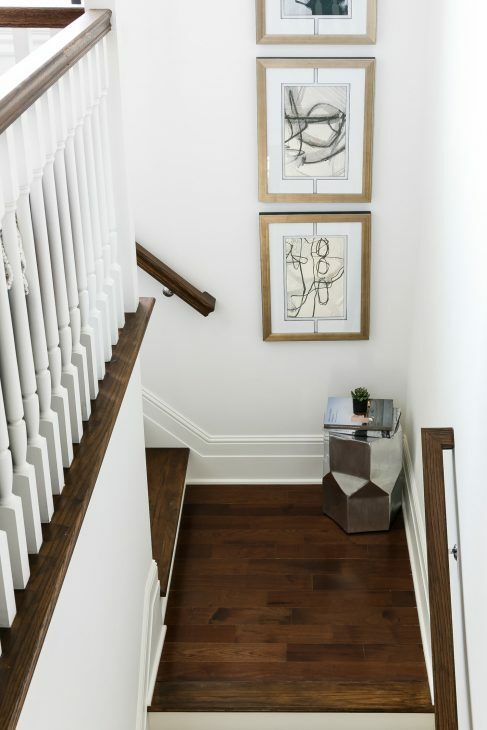 At the top of the stairs is a nice bonus space that could function in a number of different ways. Here they have added a mini kitchen area. Not so sure I would care for that, but if the area is used for viewing TV then it makes sense. Isn’t this adorable? 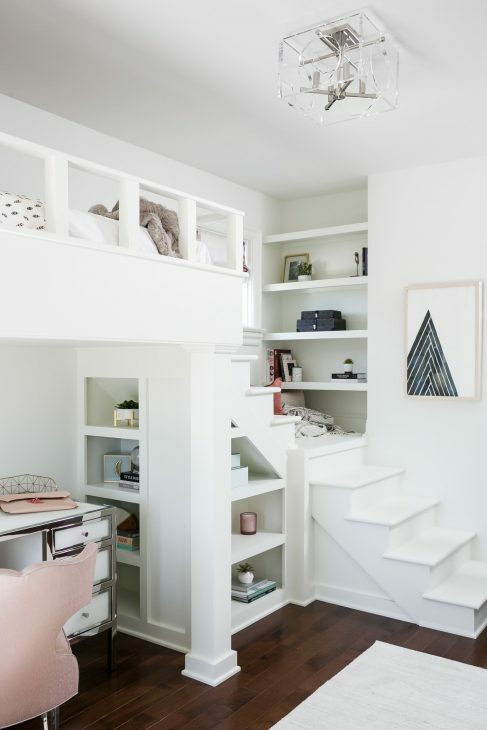 Multi function built-ins that can take a child from toddler to teenager. What fun for a little one! From this angle you can see there is a nice amount of storage space for toys, books, decor. 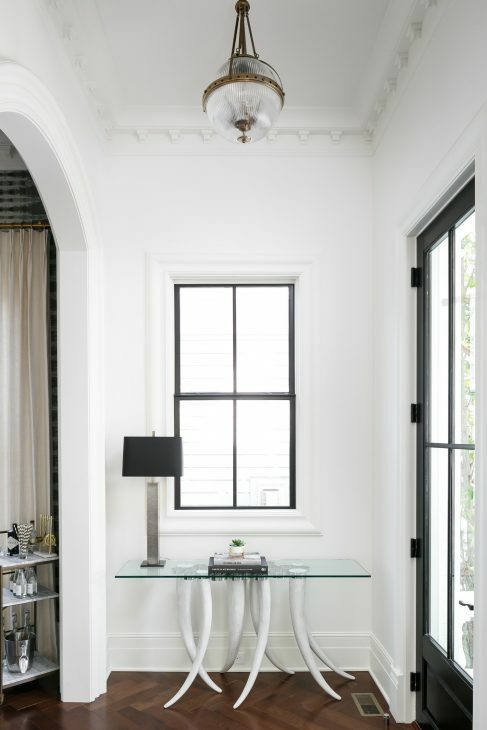 Notice the lucite ceiling fixture. 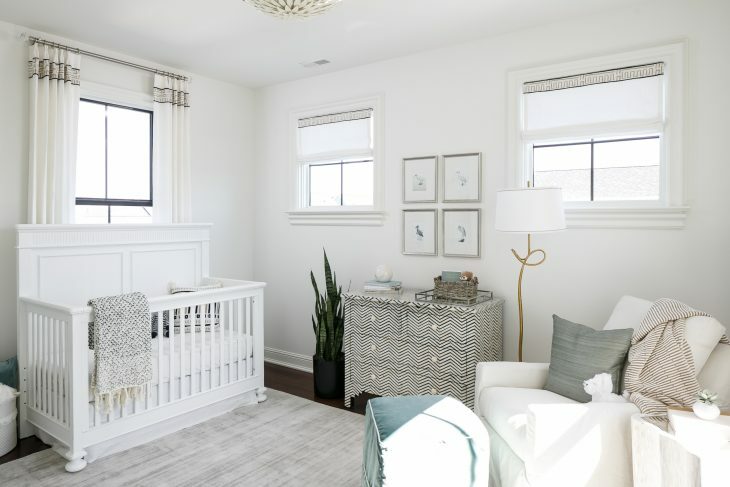 Sweet nursery. I like the decision to use drapes on the side windows and roman shades on the front ones. In the upstairs bath, the trim details continue. On the floor, the square white band added to the penny tile creates a detail that adds interest. 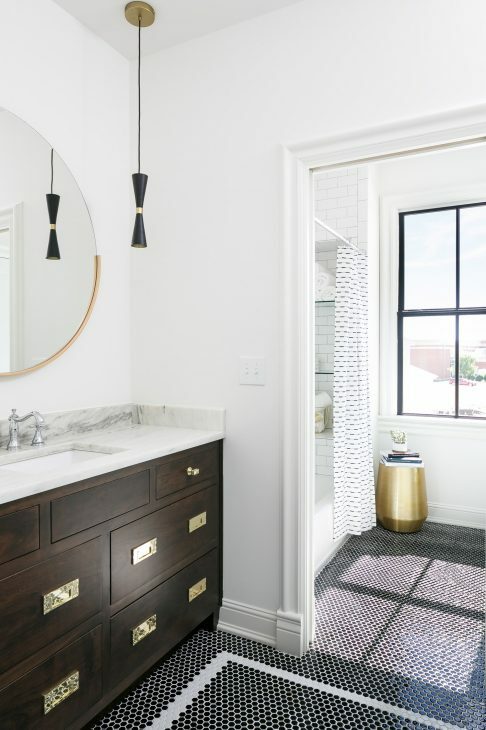 This bath is simple and classic. 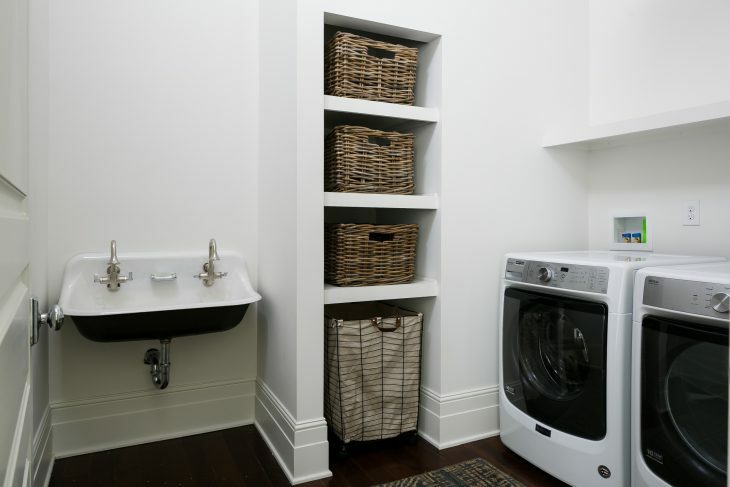 Nice storage in this laundry room. Not a fan of this kind of sink nor how it functions with split faucets though. This house has so many modern and classic details, that this seems out of place to me. Minor however. 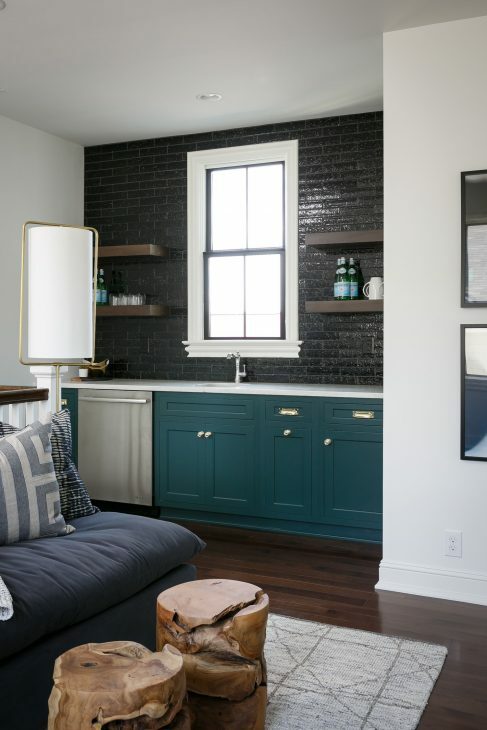 In this room you can really see the details in the base board used throughout the house. 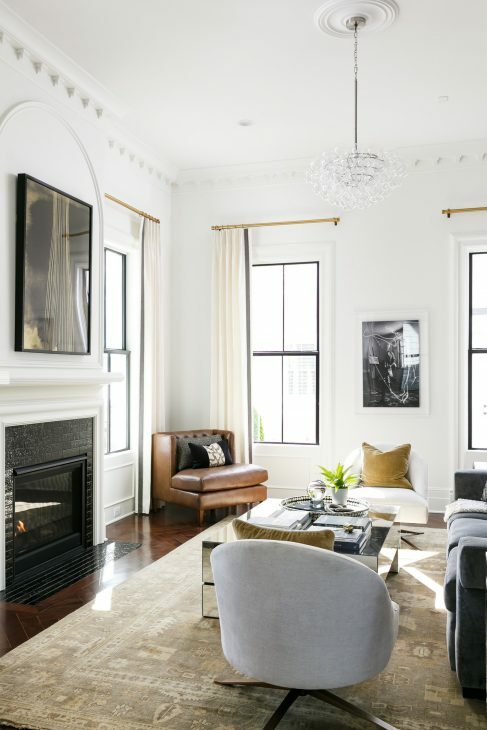 Again, this house is only 2400 square feet, but has details and architectural accents that provides a luxurious feeling throughout, and that one often finds only in much larger homes. If you like it, you can try to win it.